Teaser Tell All & Shopping! What a great Teaser huh? 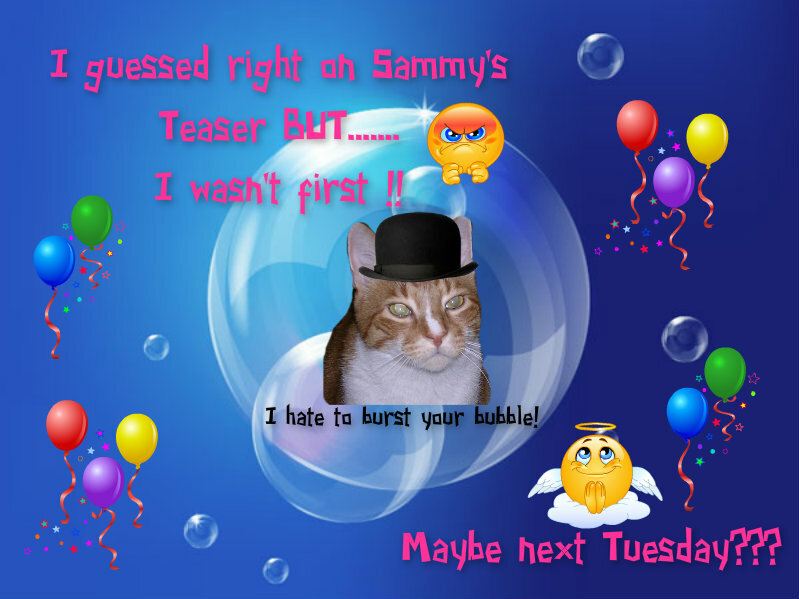 We sure did get a lot of SUPER DUPER guesses but of course only ONE of those could be RIGHT and we’ll tell you WHO that is in just a bit……..first though I must say that dear SuzieQ has been called back to Rehab – Even Grizelda had to admit that they hadn’t done a good job with Suzie’s “ATTITUDE”……….I told them that she had a long way to go and if they thought they could give her the 24-hour rehab experience they were sadly mistaken. She’s now in a strait-jacket different program at the facility – and no it doesn’t involve electro-shock threrapy although that MIGHT have been wise but instead she will be shown the error of her ways and they will TEST her before dumping her back here she’ll be allowed to come back to us here. I am confident Suzie will do just fine! Aren’t you? We all love Suzie – she’s a bit unpredictable but she’s fun……..in a warped sort of way! So lets get to the reason we’re gathered here today in class – let’s see who won what AND most of all – where was that photo taken and who was our GUEST TEASER?????? Here’s the photo again to refresh your memory! Thank you Three Chatty Cats for the Teaser Photo of 6/28/16! 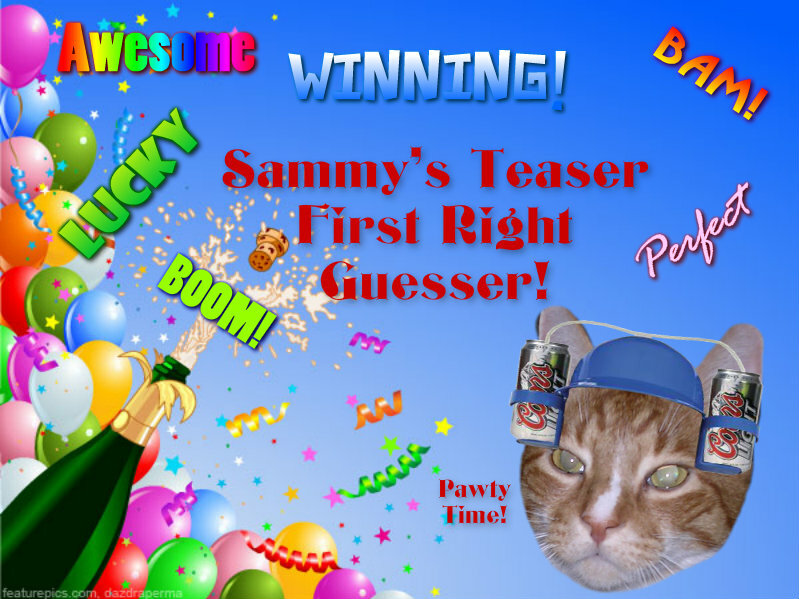 I was one of FOUR First Commenters on Sammy’s Teaser of 6/28/16! Concatulations all four of you!!!! But there were a BUNCH of you who guessed Catalina AND because you did, you will get the RIGHT GUESSER award……..so please take one if you were right! Don’t feel bad or sad if you didn’t guess right – because even if you don’t know the answer you’re still the winner of a GREENIE which as you all know by now is a VERY popular award! 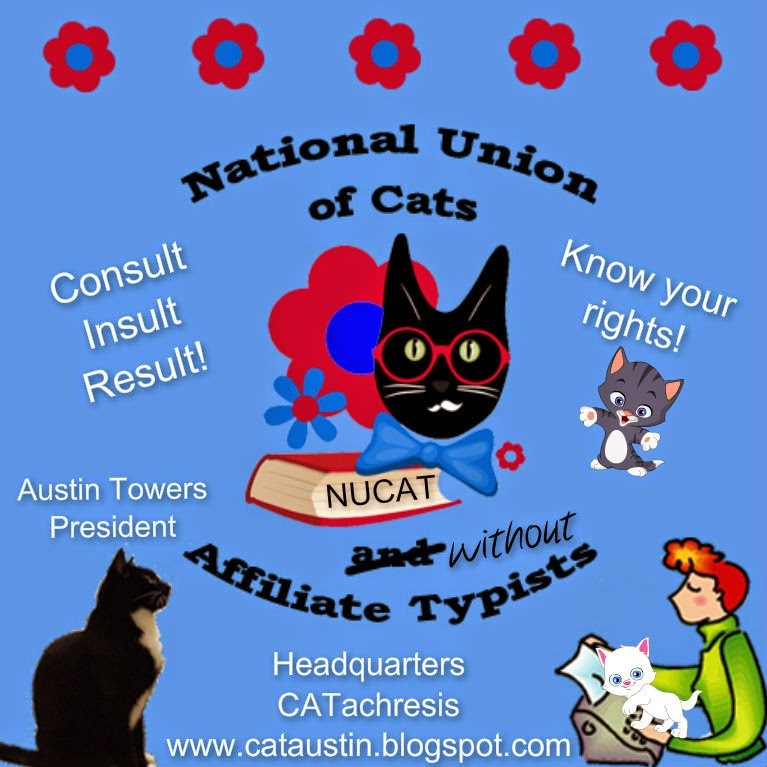 SO – concatulations everybody! 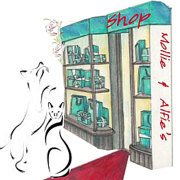 You all did VERY VERY WELL…………………..next week who knows where we’ll be with our photo of the week………….could be anywhere! If you have a photo you think would trick everyone and be a real TOUGHIE – send it to my Mom at junekimm(at)aol(dot)com. Let’s hope we see Suzie next week – but something tells me “intensive rehab” might last longer than one week………….know what I mean?????????????????????? See You Next Tuesday Class!!!!! 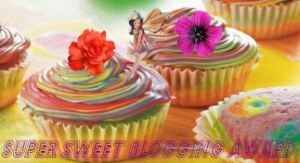 NOW FOR PART TWO OF TODAY’S BLOG!!!!! Bacon and Fozziemum’s monthly round up of recipes and food prices from all corners of the globe…………………and this month we are to post ANY RECIPE for ANYTHING that we want to! That’s right – WHATEVA! How about an EASY PEASY dessert? Mom makes this from time to time – after all, she’s a chocoholic and who doesn’t love an éclair if they’re a chocoholic right? For the filling: Mix pudding and milk; beat. Stir in Cool Whip. Place a layer of graham crackers in the bottom of a 9×13″ dish. Spread 1/2 of the pudding mixture over the graham crackers. Repeat with another layer of graham crackers and pudding; then top with a final layer of graham crackers. For the topping: Bring cocoa, milk, and sugar to a boil; boil about 1 minute, stirring very frequently. Remove from heat and cool one minute. Add butter and vanilla; stir until butter is melted. Pour over the top layer of graham crackers. Refrigerate over night. See what I mean? EASY PEASY!!!!!! 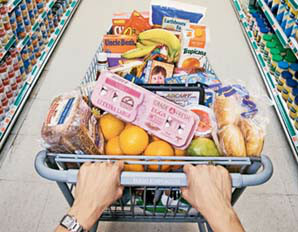 Thanks Bacon and Fozziemum for sponsoring this Shopping Adventure every month!!!!! Hi Everyone – another exciting week off to a grand start huh? Well, at least it’s starting – who knows if it will be “grand”! 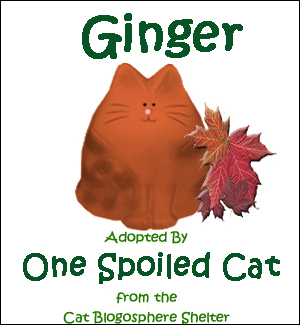 I need to say THANK YOU to two of my friends who nominated One Spoiled Cat for blog awards in the past week. I have both of these awards already but one should ALWAYS thank those who honor them in some way even if you have received the honor before. At least that’s what I think! 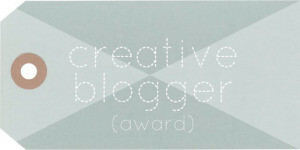 First The Mad Hooligan Chronicles nominated me for the Creative Blogger Award. Thank you Bo and Kobi! 1. Mention who nominated you for the award and link back to them. 2. Display the award image above your post. 5. Pass the Rules on to your nominees. Here are my FIVE Random Facts! 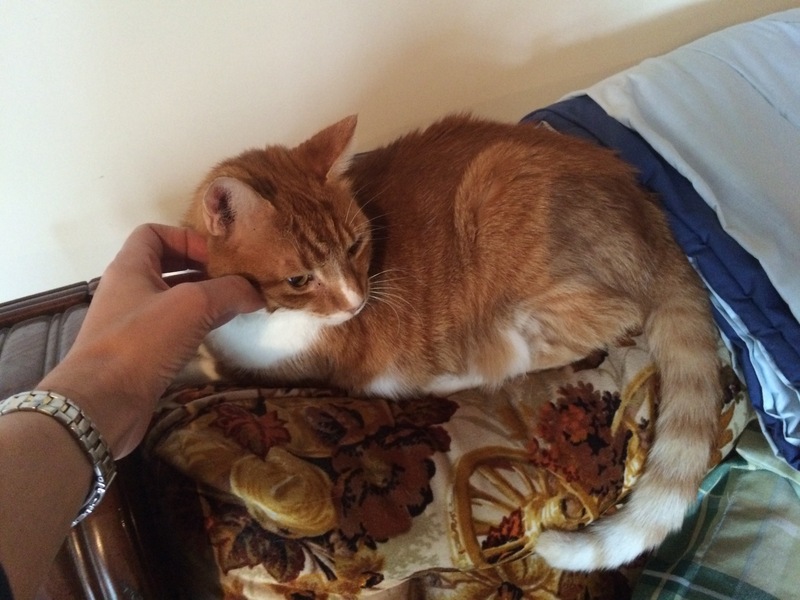 Even though I’m “out there” on my blog, I’m a very shy guy in person…..I recently extended my boundaries though when we had company and allowed petting and carrying of my ginger self! I can say several words (at least Mom thinks they sound like words)…..I say “OUT”, “MAMA”, and “YOYO” (yogurt). I am part “watch cat” – if a neighborhood cat comes on my front porch, I will yell “MAMA” until my Mom comes and shoooos the visitor away (or feeds him or her!). 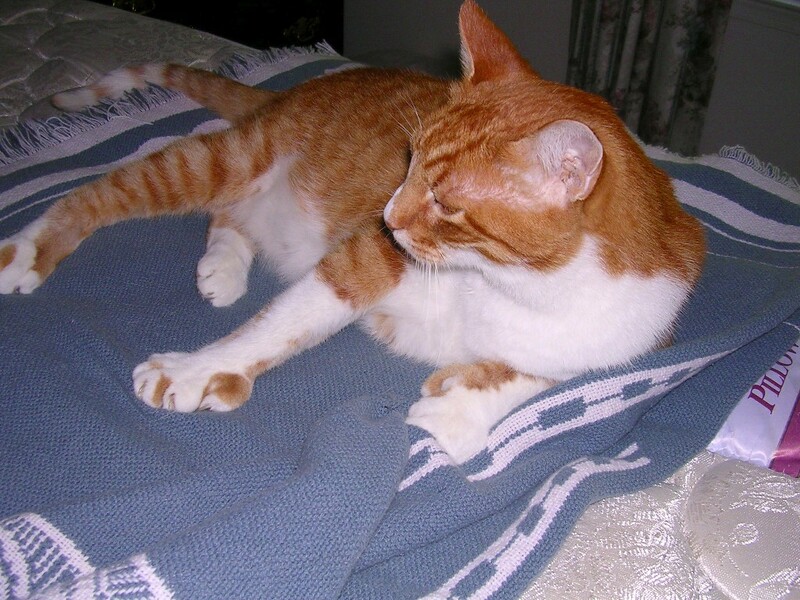 Most of you know I’m a polydactyl kitty – I have SIX toes on my front paws and the regular amount of toes on my back paws (just in case some of you didn’t know!). I enjoy being a Cat Scout. Cat Scouts have a whole lot of fun – we go on trips, earn merit badges, make new friends and do service projects just like human Scouts do! 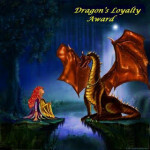 The second award I received was from my friends Dezi and Lexi at Dezie’s World. 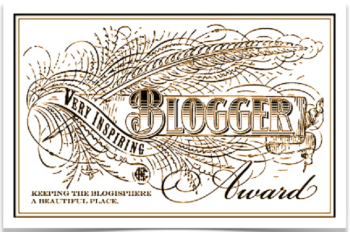 They nominated me for the Very Inspiring Blogger Award. Thank you ladies!! 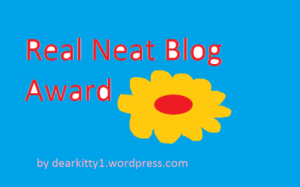 This one requires that you nominate 15 blogs and I have a terrible time nominating ANY blogs as I have so many of you that I follow and don’t want to leave anyone out – I usually just say please take this award with my blessings if you would like to follow the rules! Mention who nominated you, thank them and link back to them. List THREE things that inspired you in the last week. Meeting a blogger friend of my Mom’s and learning to TRUST a stranger – I rarely let anyone even SEE me if I don’t know them but my Mom’s friend inspired me to be brave. 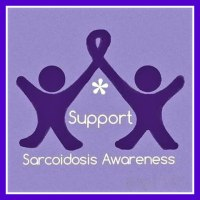 Reading the blogs of so many of my friends who are unwell yet carry on with a smile and a cheery message to the world in spite of any sorrow or discomfort they may have. 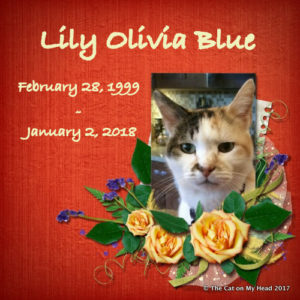 Waking up every morning and realizing that I’m traveling into my senior years in better shape than many of my older friends……this inspires me to put one paw in front of the other every day. So, thank you to my friends – and remember, if you’d like to have either or both of these awards, I hope you can do a better job of fulfilling the requirements than I have done – as I said, I have a hard time nominating “just five” or “just 50” of my friends………I would give it to EVERYONE if I could…………. 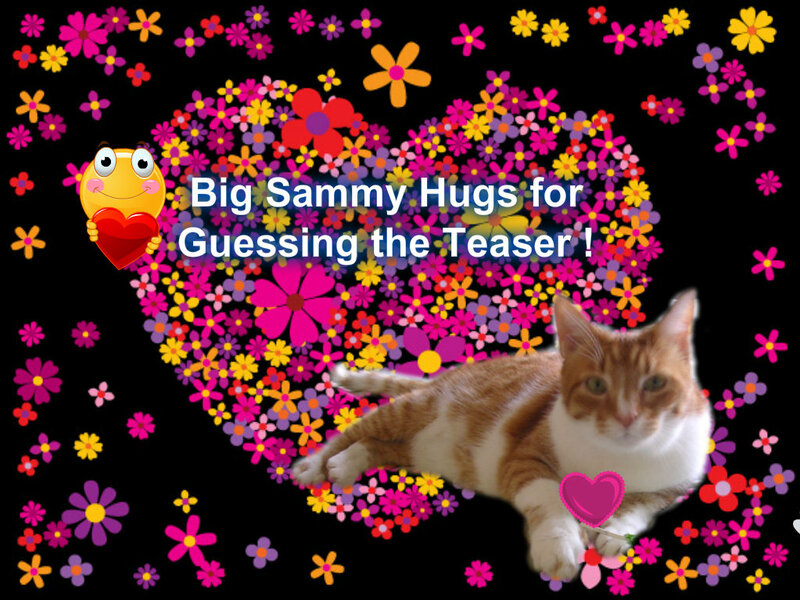 Oh boy – I had fun watching the Teaser comments yesterday – did you? I know some of you find the comments more fun than guessing the Teaser (hahahaha). Well, Mom and I were at the computer when the Teaser went live – we wondered who would chime in first – and who would chime in first with the right answer (which isn’t always the same person!!!). First let’s review the photo! 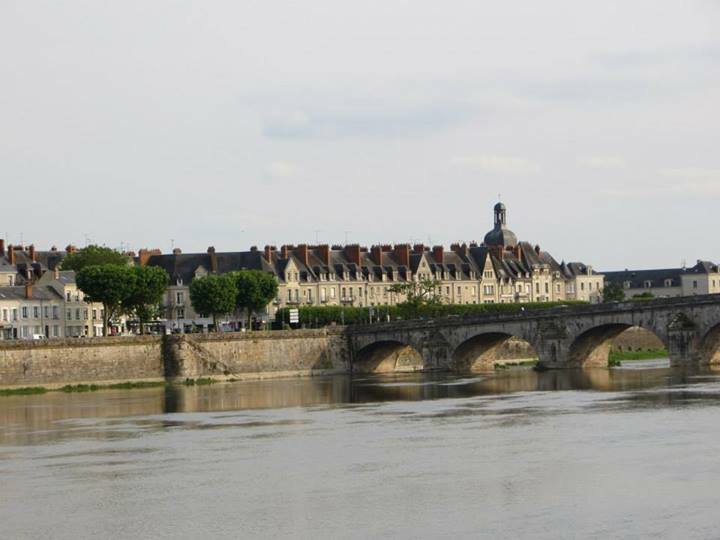 Where on earth was this photo taken? 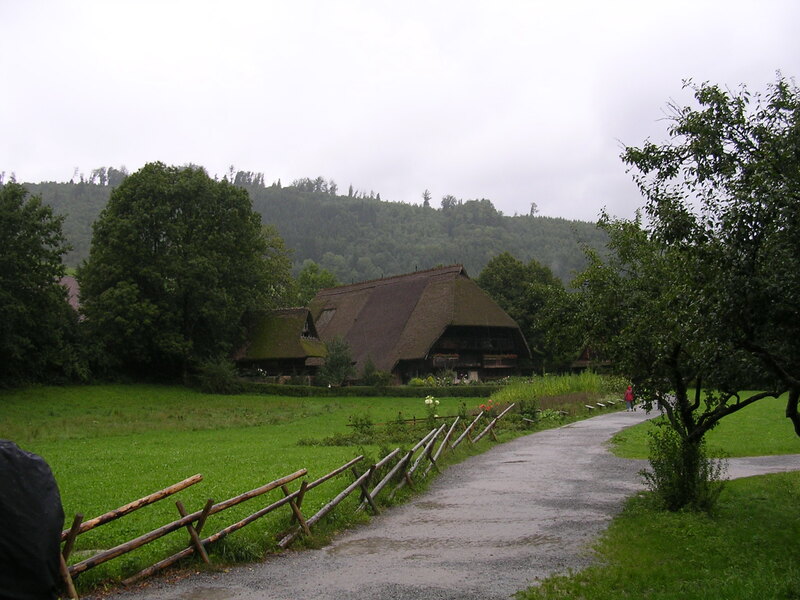 Well, it was indeed the Black Forest region in Germany – Gutach specifically – and it’s one of the many buildings on the site of a wonderful park/living museum with examples of different types of homes and homelife around the region. 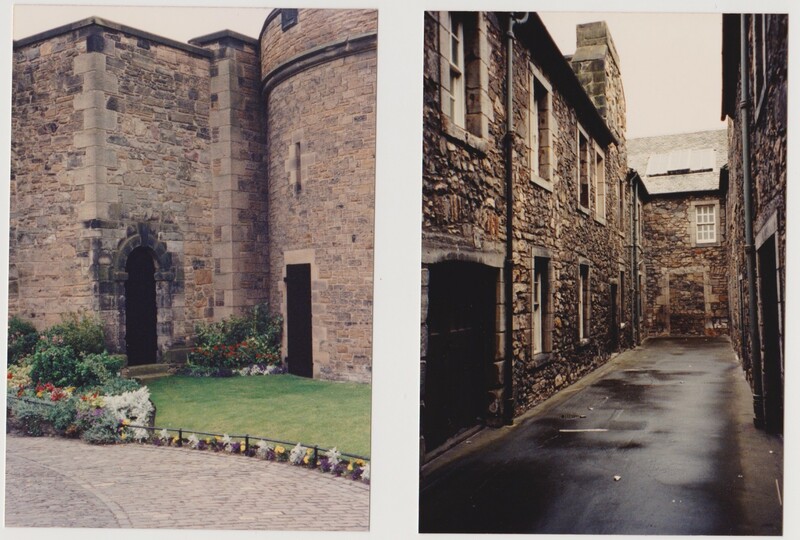 Each of the buildings had occupants who showed visitors their way of life and gave a guided tour of the homes. Totally neat thing to see says Mom. 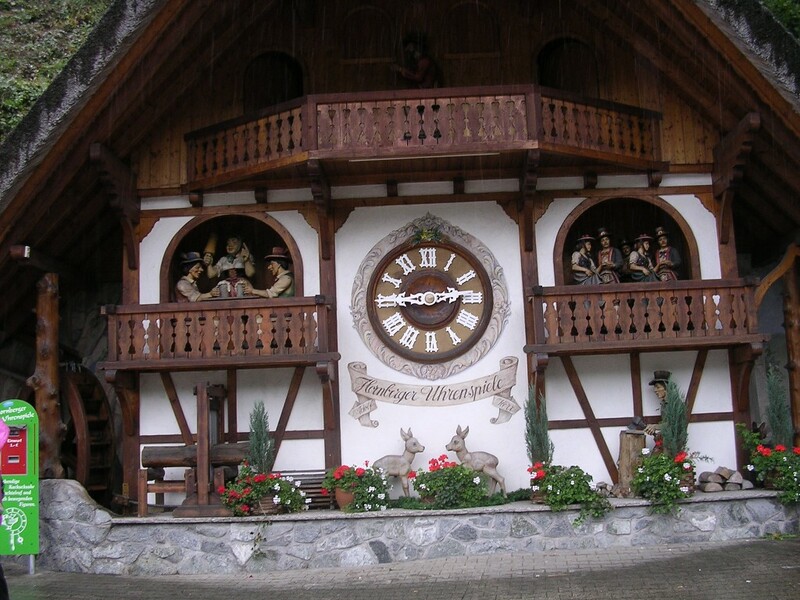 They went there right after they visited the site of the biggest cuckoo clock EVER which was located right by a great gift shop where Mom and Dad got lots of souvenirs while on their trip. WHO guessed right first? It was EASY that’s who! 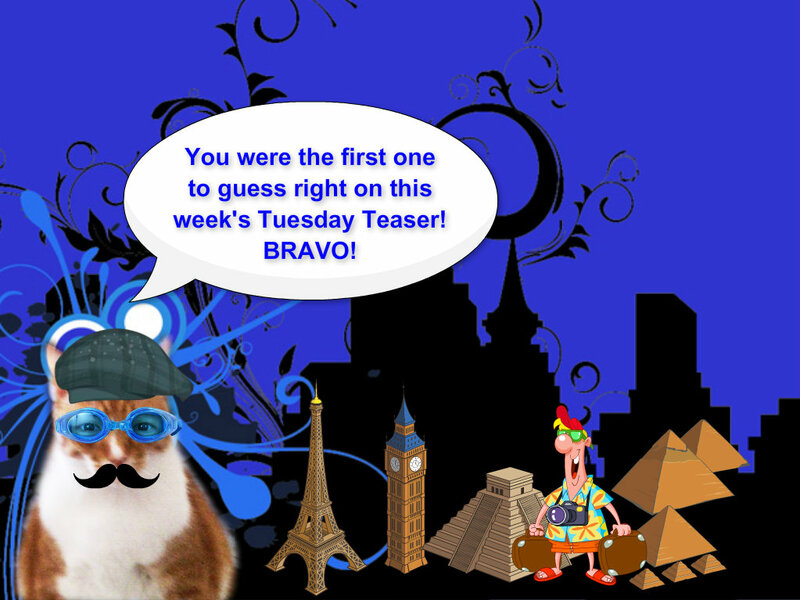 WOO HOO…………He guessed it EXACTLY right although the first to guess Germany was Bad Cat Chris! Chris gets an honorable mention for guessing Germany first……….Easy gets the First Right Guesser Badge….. Sometimes somebody gets this one…not always! And this is for all the rest of you who either googled Easy’s answer and found he was right (!!) or guessed the same answer on your own! 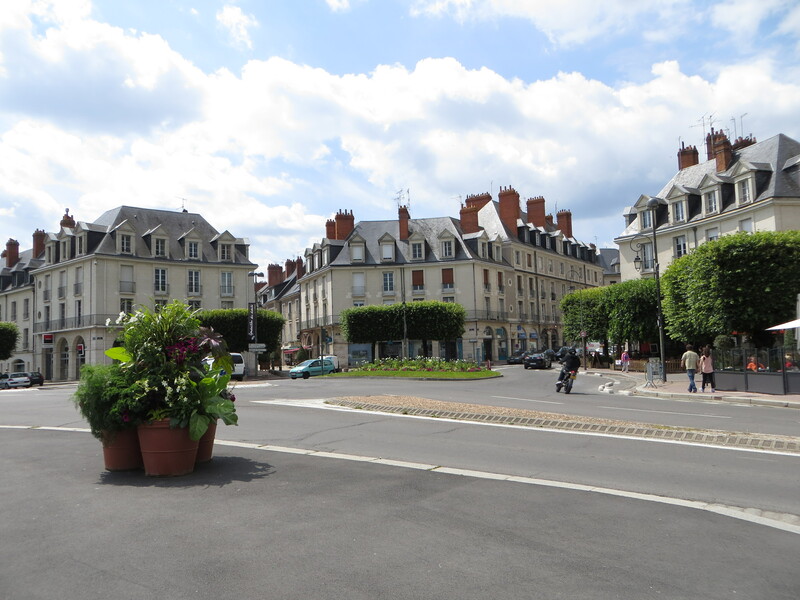 This last little gem – I’m calling it the EMERALD GREEN award (hahaha), goes to all of you who didn’t have the slightest idea where the Teaser photo was taken OR guessed incorrectly! Now wasn’t that FUN? Sure it was………..and it will be fun NEXT week too……….who knows where on the globe I’ll be with my Teaser…….could be anywhere……….so brush up on your geography between now and then or take a page from Easy’s “Handy Dandy Teaser Solving Kit” and get a pile of travel brochures to study so you’ll have an idea where the photo MIGHT be taken! WOO HOO!!!! SURPRISE!!!! 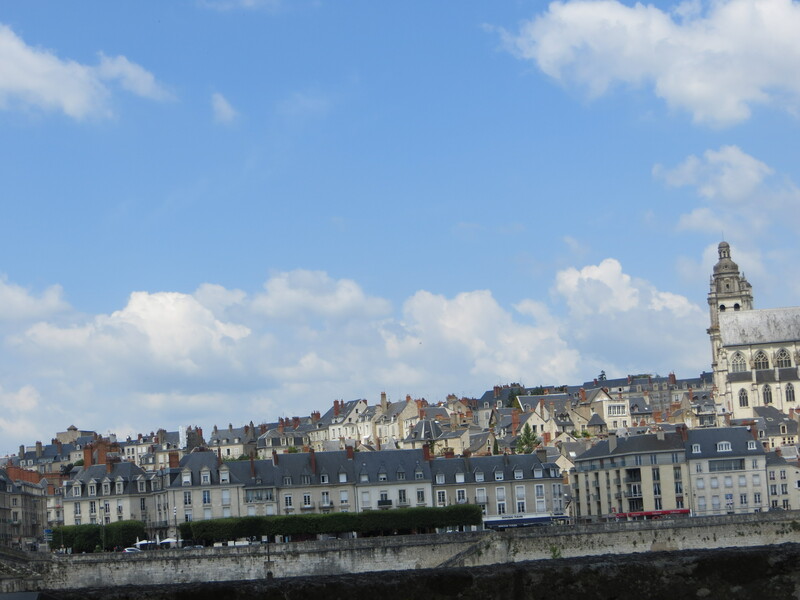 Here we are at a random time of day to make you go crazy figuring out where today’s vacation snaps were snapped (or something like that!). 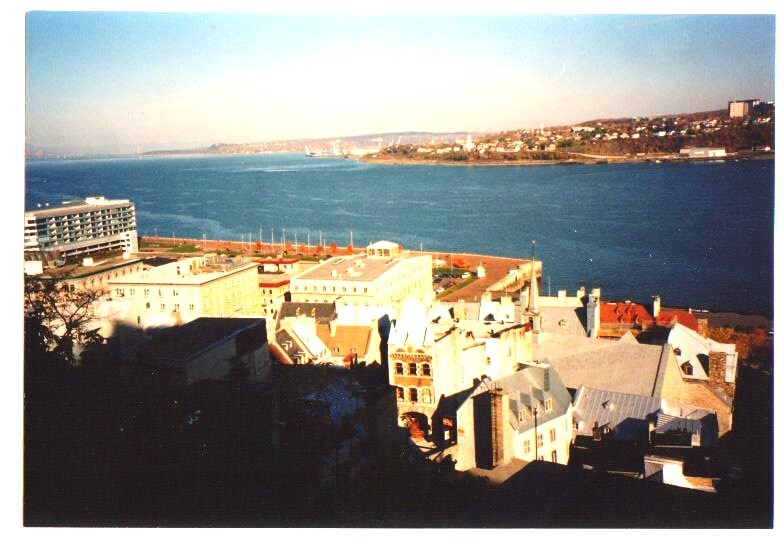 These are not from a “Guest Teaser” – they are from my Mom’s photo album – but WHERE were all the photos in that album taken? That’s for ME to know and for YOU to guess……………….ready to look? Please remember that in order to be RIGHT, you have to say where these were taken – it was the same place – but if you know town/city and country/state then you will truly be right……………..send your guesses in today because tomorrow is the Teaser Tell All and the distribution of these INCREDIBLY AWESOME badges Mom and I did for all you Teaser fans to show off on your blogs – – – – after all you have bragging rights to have known the Teaser photo on my blog – QUITE AN HONOR!! 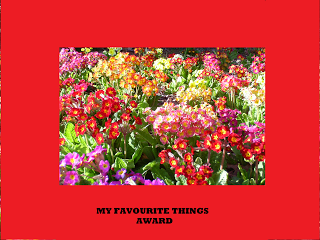 Here are the awards in case you have forgotten………………one of these babies will be YOURS no matter what – – – but which one???? Does the universe know you’re a fan of my Tuesday Teasers? What? They don’t? Then perhaps you should add this adorable (cough cough) badge to your blog sidebar……….after all, anyone who is ANYONE has this on display. 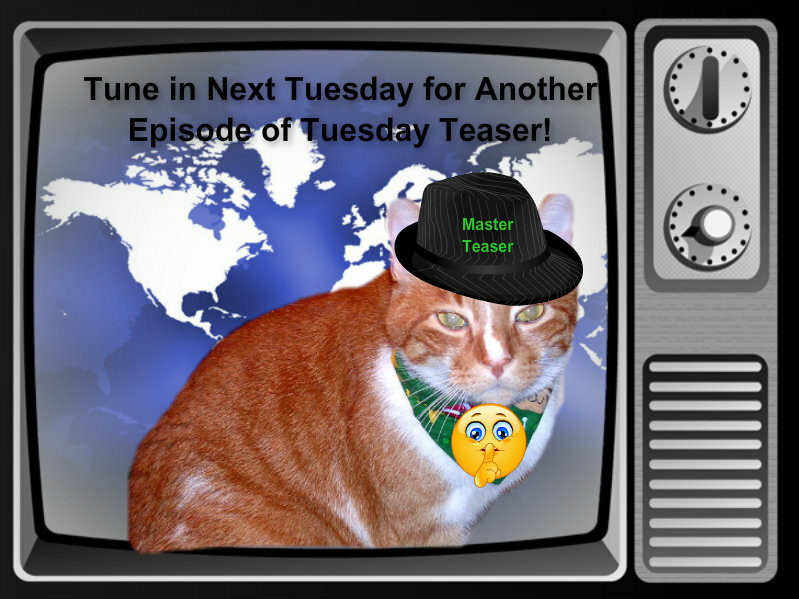 See you guys and gals tomorrow for the announcements of who’s happy and who’s not so happy about what they guessed today on the Teaser………..meanwhile – HAPPY TUESDAY! It’s a great day – not just because I get bacon on my breakfast menu BUT because I just love Saturday…..also I have to “crow” about a couple of awards that I was lucky enough to get this past week! 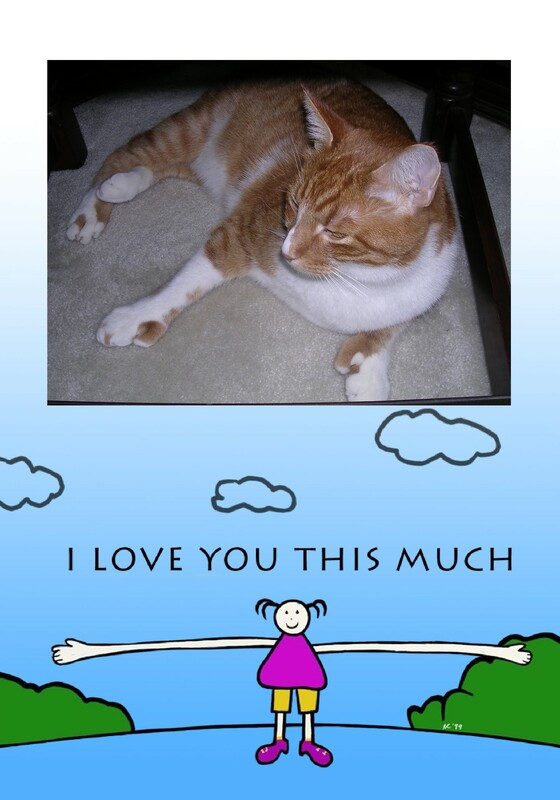 This one I got from my good friend and Mom to many, MANY Aussie animals, Fozziemom!! I have this one displayed already so I won’t display it again AND I think almost everybody has this award but if you don’t please honor me by taking it………it’s nice to be part of a FAMILY – furry or otherwise! This next one I got from my favorite cowgirl in the whole wide world, Miss Marcey at Hot Rod Cow Girl. 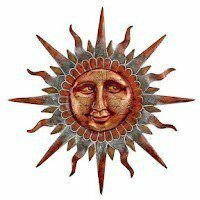 I actually already have this one too although the badge is different – and this is such a smiley sun – I love it! 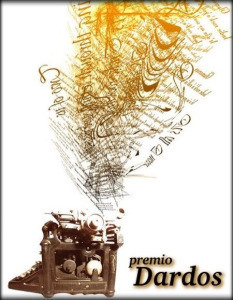 It’s the Wonderful Team Member Readership Award……in a different form than I have seen it before. 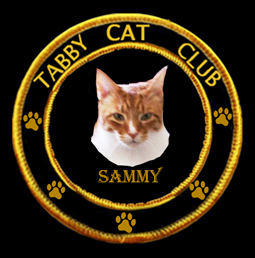 If you’d like to have this one too, please do take it and wear it with pride from your friend Sammy. Thank you SOOOOOOOOOOO much too!!!!! Two award nominations and bacon. Does Saturday get any better than this????? 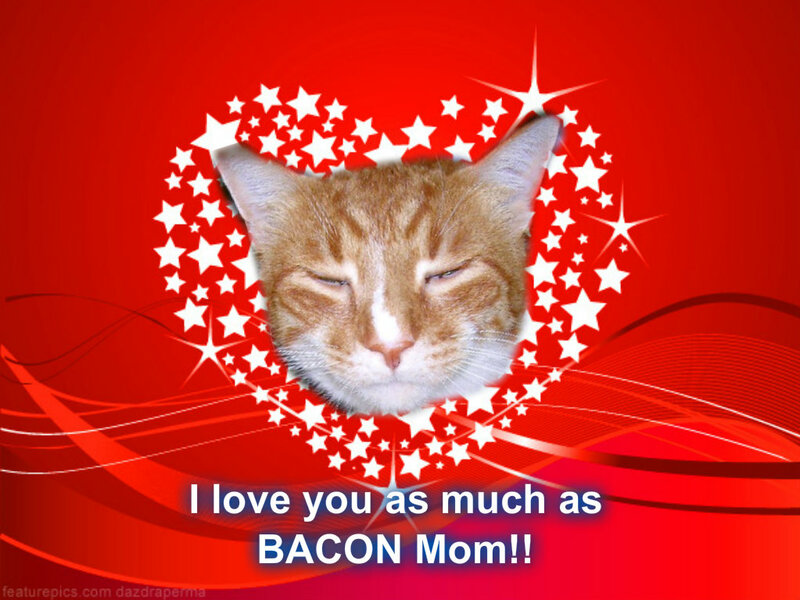 Oh – and YES Mommy – you know I love you better than any award or even bacon……………but if I need to remind you of that…………. Which reminds me, I read on The Cat On My Head that August 31st is National Bacon Day! How cool is that? Seems I really DO have my OWN holiday after all!! That’s right – lucky Friday!! Actually yesterday was my lucky day but this is the first time I’ve had a chance to TALK about it so it’s “Lucky Friday” ! Ahhh…this seems like a good spot to celebrate my good luck with a nap! 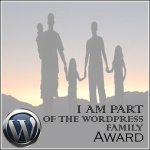 This award’s purpose is to celebrate other WordPress bloggers who inspire, help and encourage us….just like “family” does – isn’t that a nice thing? 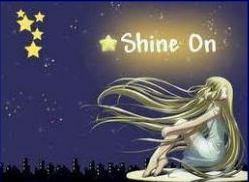 I received this cool award from my friends Misaki, Dianna and Sundae, and Nylablue. To properly receive the award I have to thank those who gave it to me (ALL OF THEM!!! – THANK YOU!!!! ), and post the award (DONE) and then list ten other bloggers who have impacted my WordPress experience and WordPress “family”. Well, due to the apparent popularity of this award, I think it really got passed around the last couple of days, and I’m not sure who received it and who hasn’t received it but let me just say this: Without a doubt, I have found that everybody I have met through their blogs on WordPress – and really EVERYWHERE else not just WordPress – have been the most supportive, helpful, kind, generous, and talented bunch of people EVER. If not for everyone’s encouragement and help while I was learning what to do and not do with blogging, I would not be just about to celebrate in a few days my TWO YEAR blogaversary. So what I’d like to say is, if any WordPress peeps DON’T have this award yet – please feel free to take it with my absolute and total blessing and sincere thanks. You all truly ARE my family. What else is going on around here today? 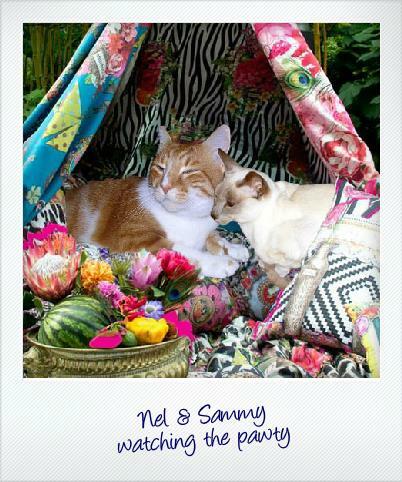 Well, I can update you on the Slumber Pawty PAJAMA-RAMA (hahaha) and let you know I’ve received five entries already – that’s right – five of you sent me pix of yourselves in your PJs for the “BEST PJ CONTEST”. YAY! 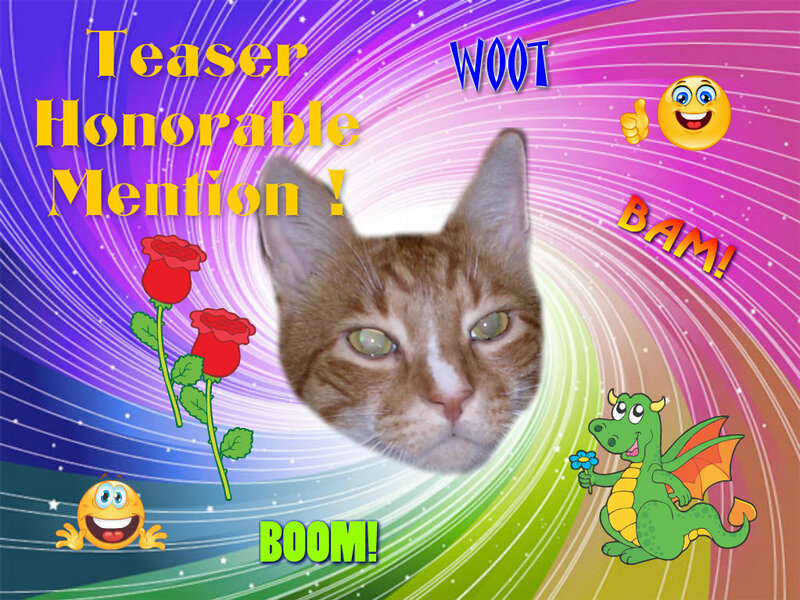 Keep ’em coming gang…..you’ve got until May 8th to send them in – the PAWTY is May 10th. There will be a poll to choose the winner. I also learned that Hutch A Good Life guinea pig boys are about to celebrate their FIRST blogaversary soon and they’re having a contest – you’d better go over and check everything out ASAP! THEN, as if that wasn’t enough excitement – Austin from Catachresis has a birthday on May 1st. 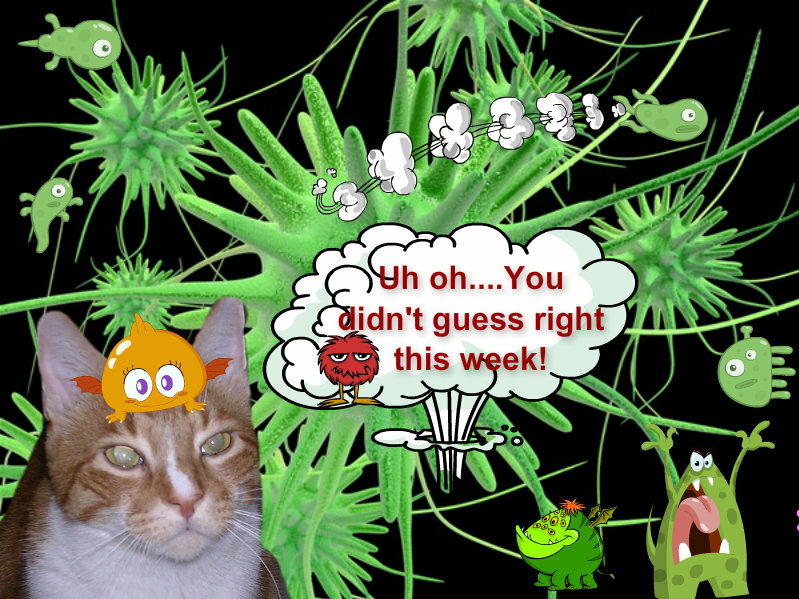 So many PAWTIES and fun here in blogville huh? I bet you’re wondering why I’m not complaining or talking about today being MONSTER DAY right? That’s because my parents pulled a fast one on me and did the housecleaning yesterday – imagine that – a break in their routine – I think they’re just trying to keep me on my toes (paws??). Happy Friday peeps………..see you Saturday! A BIG SAMMY HUG !!! Now give it your best shot………and I’ll let you all know on Wednesday morning which of you lucky ducks (or cats or dogs, etc.) wins the hugs and which of you will have to try again the following Tuesday……..OK??? Deal??? Good! Now, one more thing to tell you before I let you get to examining closely the photo………..yesterday my very good friends Archie, Oscar and Henry at My Three Moggies presented me with the Super Sweet Blogging Award which is one I already have but am always pleased as punch (or catnip maybe) to receive! I’m also pretty sure this one has “made the rounds” but if there are any of you who would like to have a batch of REALLY YUMMY looking cupcakes on a badge for your site, please accept it with my love and appreciation……….